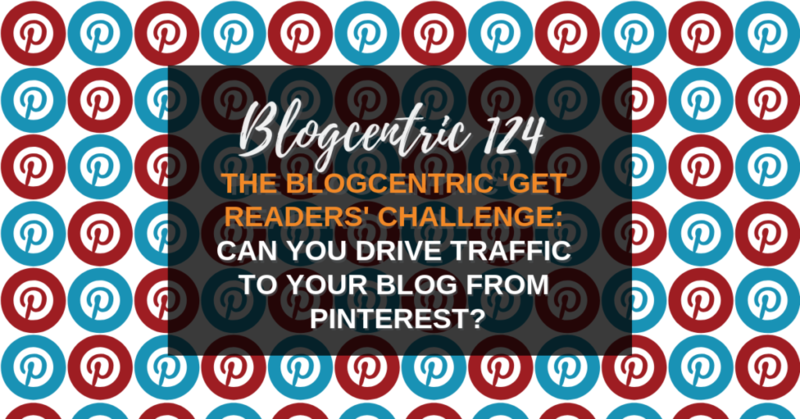 How much traffic can you drive from Pinterest to your blog? This post includes affiliate links. That means if you buy after clicking them I get a cut of the profits. I only subscribe to affiliates when I have tried and love a product. The links are clearly marked in this post. Is it worth using networks like Pinterest? Quora? Medium to get more people to read your blog? That’s what I aim to find out in this series of blog posts and podcasts. This is part one in a series on using less usual networks to drive traffic to your blog. 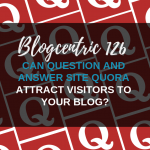 It wasn’t so long ago that I’d have told you that most, if not all bloggers got most of their readers from Google and other search engines. For me, that’s still the case but I know for many others Facebook has taken the prime position. Other networks have been creeping in too. Twitter, LinkedIn for some even Instagram. But with this success comes fear. We are at the mercy of these networks and you know what? They don’t want to send readers your way. No, they’d much rather people came to their site and stayed there. The traffic we get from those networks is in decline. If we want to keep our website active we need to look at new tactics and new places to promote our blogs. And that’s why I’m running this series of challenges. Let’s look at some of these other networks and sites and see if we can grow our readership using them. In part one we will look at Pinterest. The social network that claims it’s not a social network. I’ve never been able to get excited about it but I’m determined to make it work. 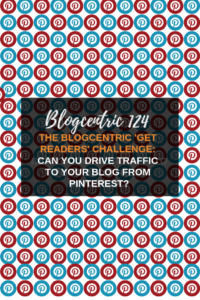 Can you drive traffic to your blog from Pinterest? 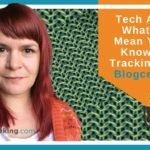 After doing a big of research I’ve used the tips from this article/podcast to try to grow traffic. Jennifer Priest is impressive, and she’s convinced me that there is value in spending time on your Pinterest strategy. Before we get into her strategy there are a few things you must do. Before you start work on your strategy find out where you are starting. Google Analytics will show you how much traffic you are getting from Pinterest. You’ll find this under ‘Acquisition/Social/Network Referrals’. 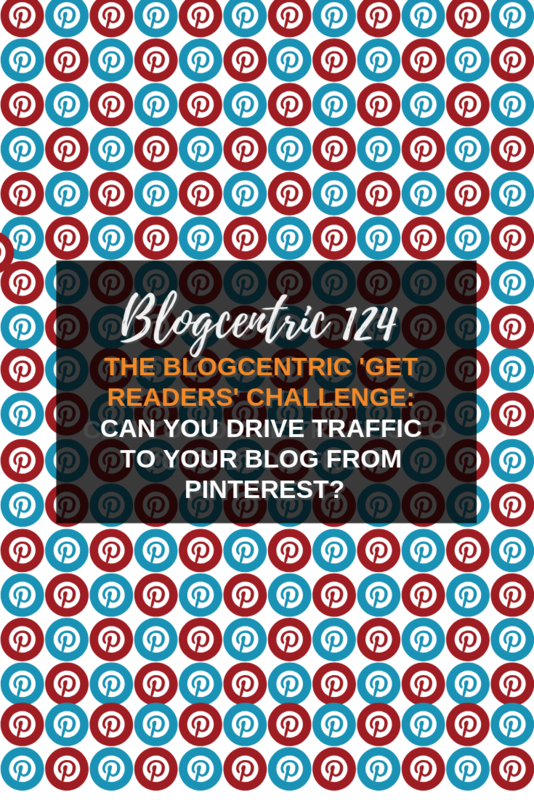 How much traffic do you get to your site from Pinterest? As you can see Pinterest is already in second place for social traffic. Jot down these statistics. Even better start a measurement spreadsheet you update weekly. To find out which pages get the most traffic from Pinterest click on ‘Pinterest’ in your Google Analytics report. Now you have a starting point there’s something you can do that will almost definitely increase your traffic straight away. If you don’t have Article Rich Pins installed, it takes a minimum of two clicks for someone to access your Website from the Pinterest feed. One to expand the pin, one to click through to the website. With Article Rich Pins they can do it with just one click. 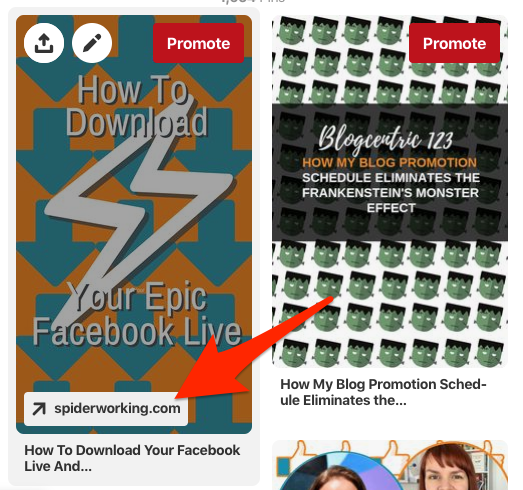 Rich Pins add overlays to your Pinterest posts that display the website name and when clicked bring viewers to your website from the feed. Rich article pins make it easier for Pinners to visit your site. All you need to do is add code to your site. More on that here. Portrait pins work better on Pinterest. They take up more space on the feed. There are two ways to add Portrait images to your blog posts for pinning. This is the easiest method. The downside is that a full-sized portrait pin can take up a lot of space on your post. One way to add them to a post without them taking over is to upload them full size at the bottom of your post and then scale them using the WordPress image editor. You can go as small as you like. 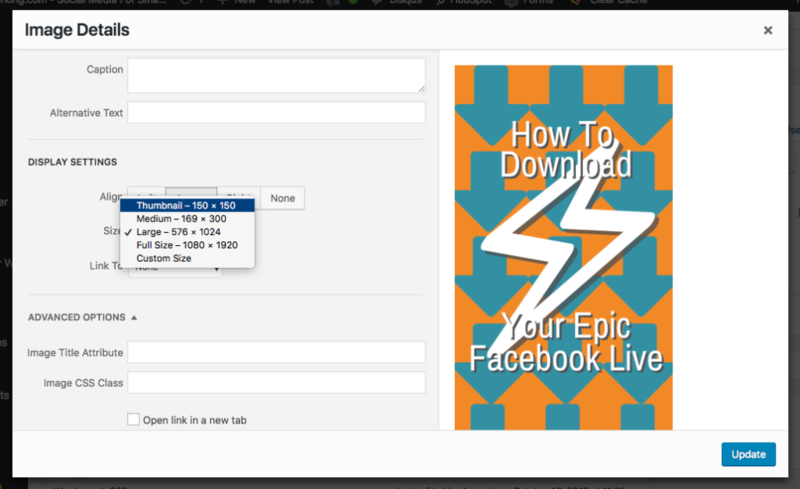 As long as you don’t edit the original image it will remain the correct size for Pinterest when shared. I use the plugin ‘Social Warfare’ [affiliate link] to define the image that is shared when a reader hits the Pinterest button. Both Canva and Easil, my tools of choice have Pinterest sized templates. Canva has one standard size, Easil offers two. There are many good reasons to convert to a business account and not one I can think of not to. You’ll look professional, if you want to you can run ads but best of all you get Pinterest analytics. We’ve already looked at Google Analytics for Pinterest traffic but analytics within Pinterest itself will show you more data about where that traffic is coming from. This includes which boards and users are getting the click-throughs. It’s easy to make the swap. Find out how here. We’ve just one more bit of housekeeping to do before we can embark on Jennifer’s strategy. It’s as important here as it is on any social network. Your profile will help you appear in search results and when people find you, it will help them decide if you are follow-worthy. I hadn’t looked at mine in years and crikey, it was grim. Here are some things to look at when polishing up your profile. Profile picture – is it up to date and is it consistent with your other social profiles? Is your link up to date? Does your bio include keywords you’d like to get found for? Have you told people what you do? Well almost. Before we start select at least 5 existing blog posts, you will apply these tips to. It will be time consuming so don’t choose too many. If it works, you can expand this in the future. Did you know you can have up to 500 Pinterest boards? Neither did I until I listened to the interview with Jennifer. She recommends setting up boards for topics you have 5 or more blog posts for. Go through your blog posts and categorise them for boards. Start with your existing blog categories but then start niching down on those topics. For example. I could have a board for ‘Small Business Blogging’ and one for ‘Blogging Productivity’ etc. Make a big list. If you have 5 or more blog posts per category, its board-worthy. I asked you to select 5 blog posts to work on earlier. The next stage is to select hashtags to help promote them. Start with keywords that describe the content of your pin. 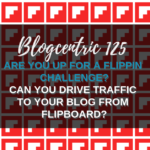 For this post I might choose ‘blogging tips’, ‘Pinterest for bloggers’, ‘blogging challenge’, ‘get more blog readers’. Try searching these phrases on Pinterest. You’ll get a bunch of suggested associated search terms at the top of the results. When I searched ‘blogging tips’ I got ‘Pinterest’ ‘and tips’ and ‘for business’ amongst others. I’m adding ‘Pinterest’ and ‘blogging tips for business’ to my list. Now turn these keywords into hashtags. My keywords above will become. Jennifer recommends using these as it makes it easy for people to discover more pins from you when they click on them. I’ve chosen #AmandasBlogTips, #AmandasLiveTips, #AmandasSocialTips for now. I can expand these for other areas I cover on my blog. Pin descriptions can be up to 500 characters long. Jennifer recommends two sentences of keyword rich text. The keywords will help Pinterest understand what the pin is about but you also need to make it compelling enough for a human reading it. Below your description add your branded hashtag. This shows up on the search result page. Follow this with your other tags. Write at least one pin description per post. Place this description in the description field of your image on your website. So far so straightforward right? This is where the hard work starts. It will soon become clear why I asked you to focus on just 5 blog posts. For each post you are promoting on Pinterest create 5 different versions of your pin. Jennifer says 12 versions but as we are just testing let’s see how the 5 do before we expand. Use Canva or Easil (or both for this) and try to make them distinctly different from one another. Now you’ve created your pins it’s time to get pinning. Look at the boards you created at the start of this process and see where your posts will fit in. Most will belong to one obvious board but what others could it work with? Jennifer gave the example of one of her posts. A Taco recipe. This fits into her Mexican Food, Tacos and 30-minute meals boards. Now you have your 5 posts, each with 5 different pins, pin descriptions and hashtags. You’ve also identified the boards they will fit into. Schedule one version of your blog pin to the boards you have selected each month. You can do this manually or use a scheduling tool like Tailwind. 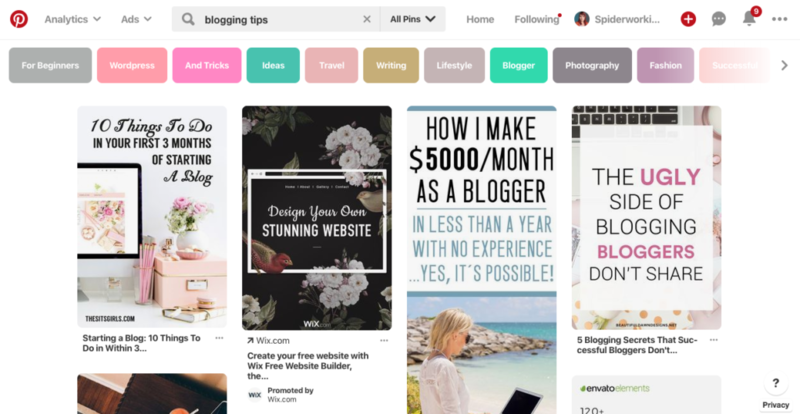 To keep all your boards active, supplement your own blog posts with pins and re-pins from their sites. Will all this work pay off? We’ve only one way to find out and that is to monitor our Google Analytics. Has your traffic from Pinterest grown over the period of your experiment? And if so, was the increase worth the time it took to implement the strategy? Together we will find out if it’s possible to get lots of traffic from Pinterest no matter what you blog about. 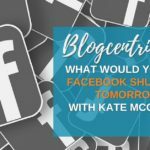 Join the Small Business Bloggers Facebook group to share your results and find out how others are doing.